I’ve had a soft spot for frogs (and their amphibious cousins, toads) since listening to the gentle symphony of croaking during summer nights next to a lake in northern Michigan. But when I started researching them for this blog post, I realized there was an awful lot I didn’t know. Much to my surprise, Kermit is not the most famous frog in history. Additionally, I must not have been paying attention the day our science teacher discussed the difference between frogs and toads because I thought they were pretty interchangeable, which is only partly correct. Technically, all toads are frogs (so far so good) but frogs definitely prefer the water and their bodies are more adapted to swimming, whereas toads prefer dryer climates. Toads are generally brown and “warty” to hide on land, while frogs tend to be green and smooth to blend better with moist environments. Both frogs and toads can be poisonous, yet many aren’t, especially in North America. The golden poison frog, an endangered species from Colombia, is possibly the world’s most poisonous animal. Yet it’s not venemous — It doesn’t bite or sting or inject poison into others. Its toxins are embedded in its skin and act only as self-defense. Don’t eat it and you’re fine. One way to distinguish between the two is to watch Kermit, my favorite frog, sing “It’s Not Easy Bein’ Green” on Sesame Street. 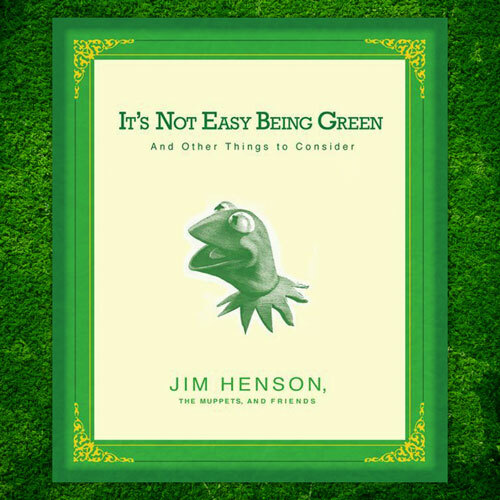 Cheryl Henson’s comments are from her introduction to the book “It’s Not Easy Being Green And Other Things to Consider“, a book of quotes by Jim Henson and people he inspired. My other favorites? 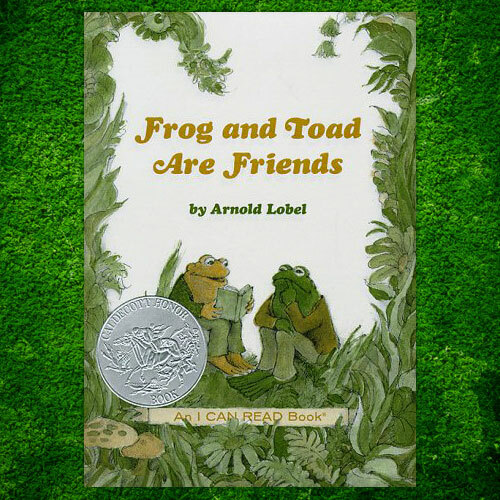 I’ve got a lot: The friendly Frog and his pal, Toad, in the children’s series, Frog and Toad, by Arnold Lobel. There’s also Mr. Toad, the eccentric aristocrat in Wind in the Willows, by Kenneth Grahame. And there’s Trevor, Neville Longbottom’s toad, who jumps in and out of various books in the Harry Potter series by J. K. Rowling. 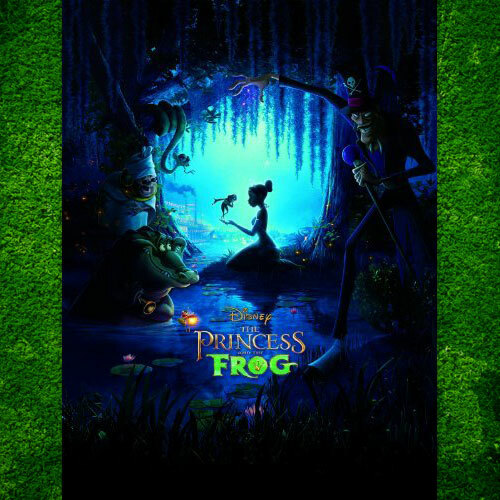 And of course there are others, like the Frog Prince in the fairy tale by the Brothers Grimm, which Disney used as the basis for the 2009 movie, The Princess and the Frog. In the Grimm’s version, a bratty princess meets and grudgingly befriends a frog, who magically turns into a prince. 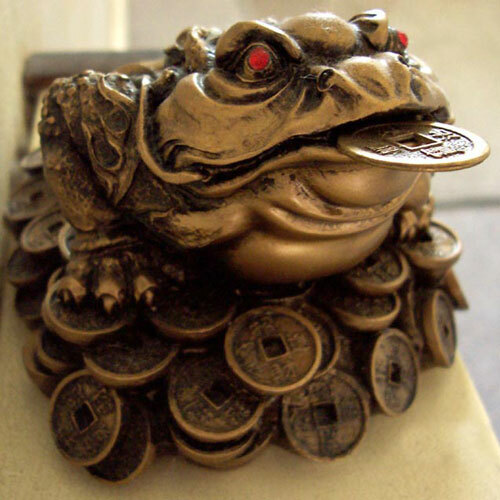 In modern versions, including the Disney film, a kiss breaks the spell and turns the frog into a prince, but the original Grimm story is less romantic. The frog’s spell is broken only after the princess throws him at a wall. 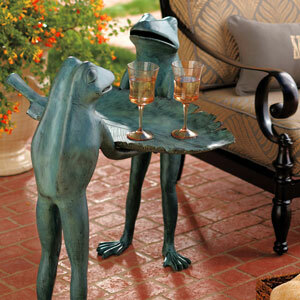 It’s in the spirit of those frogs, and of the Bombay Company online store, that Bombay Outdoors designers created the Tobias Frog Character Table and the Leaping Frog Votive. Bombay Company already has wonderful indoor frog décor: like this frog teapot, wine holder, and side table. 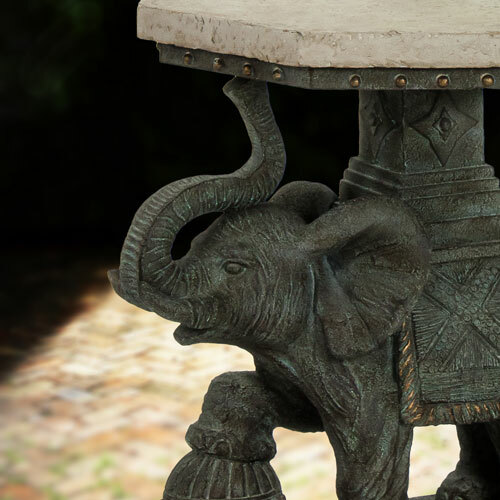 Our design team focused on the frog side table: How could we transform this highly-stylized 18th-century gentleman to fit in on patios and porches? One question was what not to change. The position of the frog arms, one holding a serving tray and one poised on his left hip, was wonderful. So our designers focused on his coloring, making him one shade of green. They relaxed his posture and tweaked his smile to be a bit more “cool and friendly like”. With shorts and a red, untucked shirt, he now looks like he’d be at home serving ice tea at a Hawaiian BBQ. 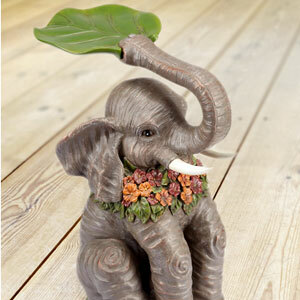 Both pieces of frog outdoor décor are available at Bombay Company’s online store. 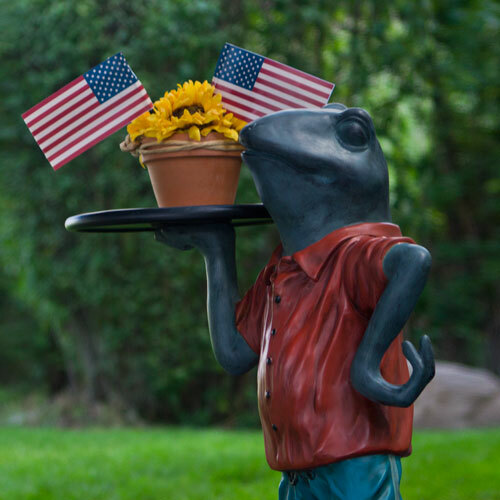 Do you have any frog outdoor décor you want to share? Post it on our Facebook Page or Instagram and use #myjourney.